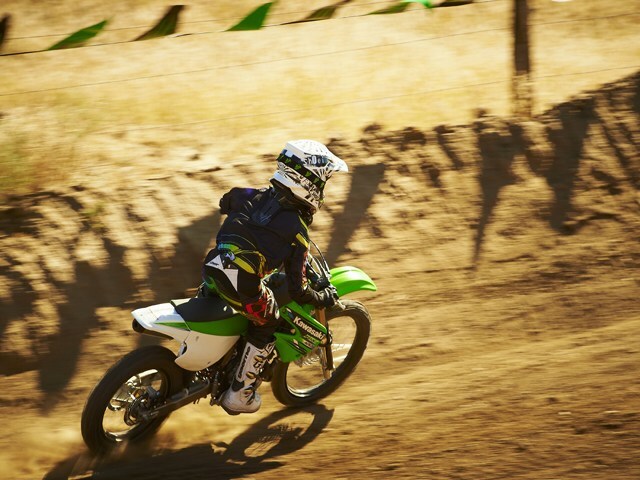 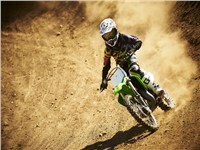 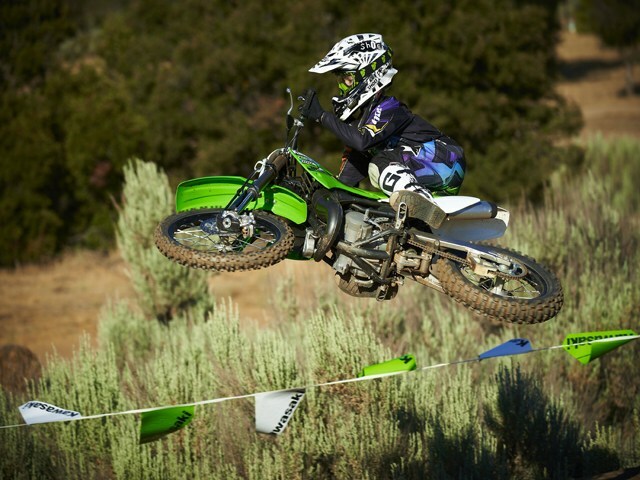 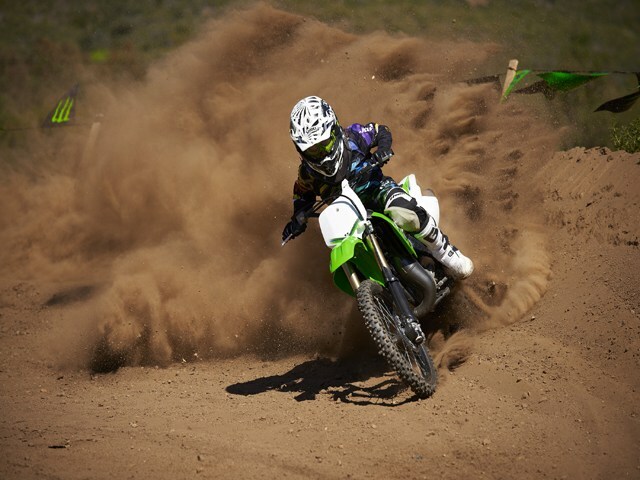 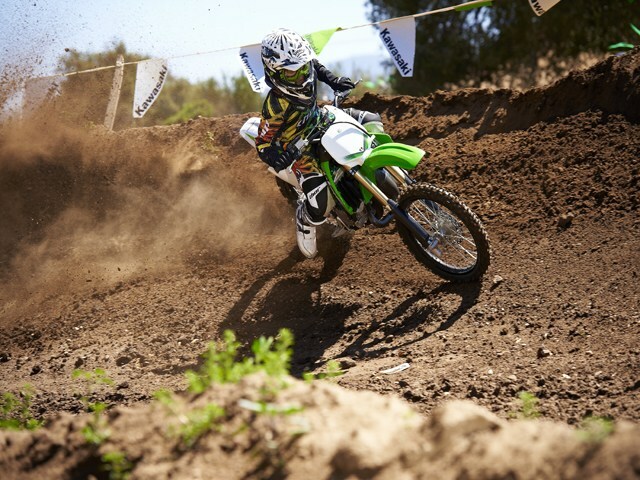 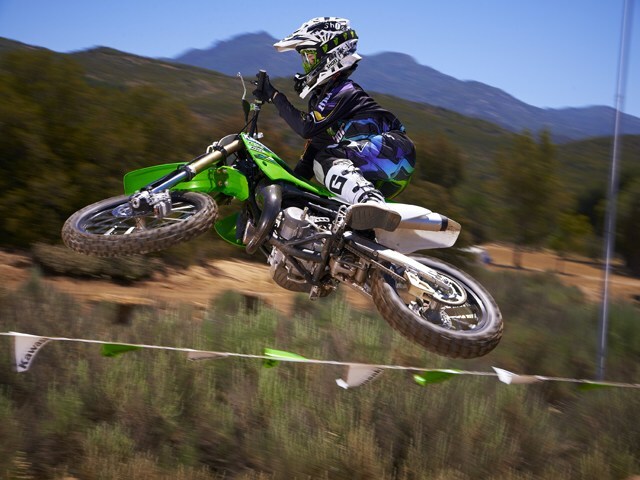 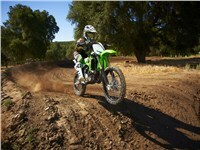 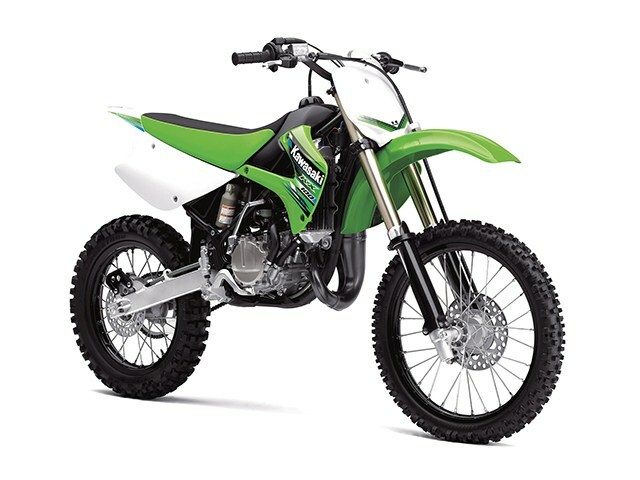 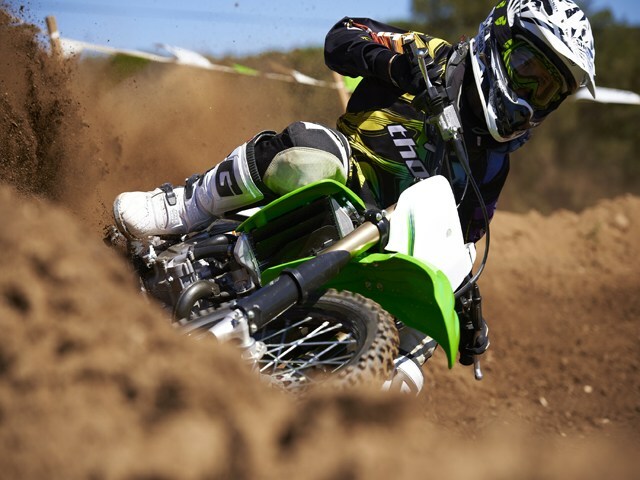 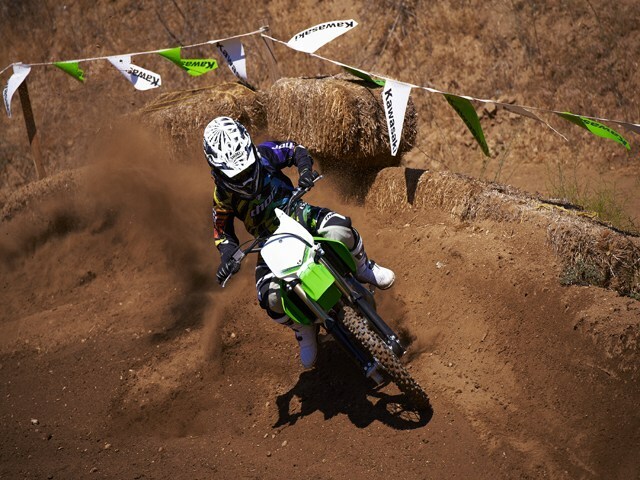 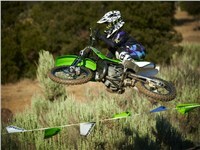 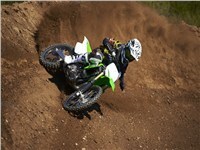 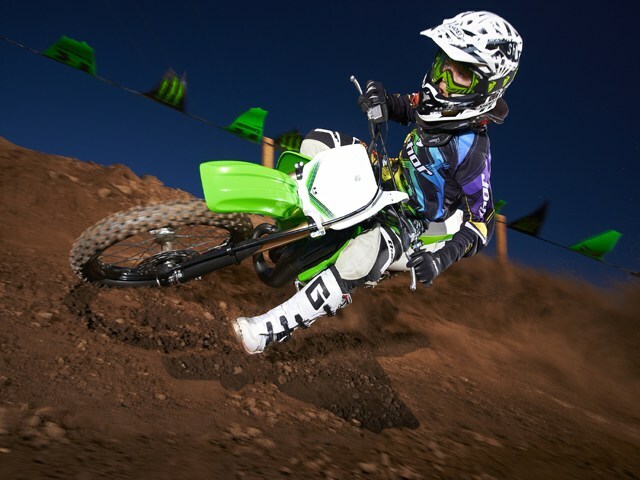 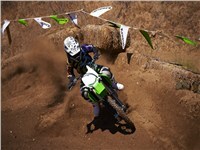 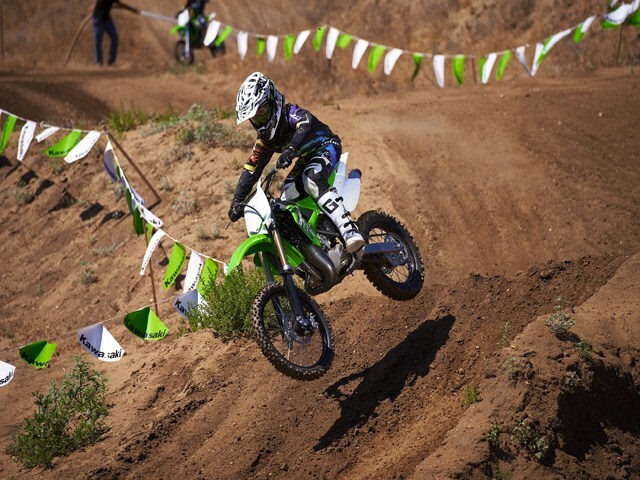 As motocross racers begin to transition from the mini categories into full-sized competition, the KX™100 provides the ride that will both enhance and simplify this often-times difficult move. 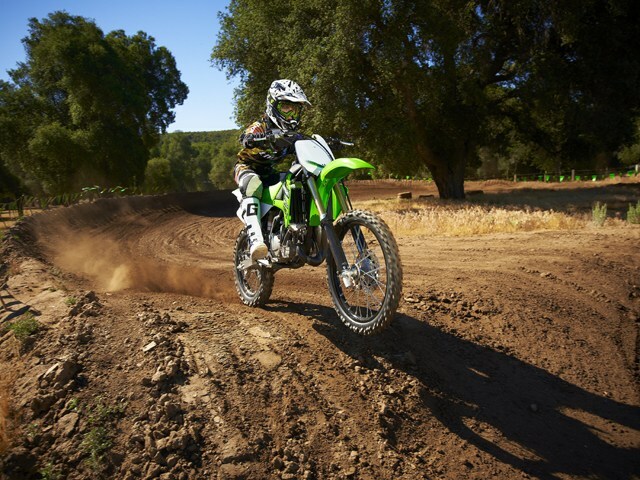 Engineered to help adolescent riders as they see both their skills and their physical presence changing, the KX100 lets them focus all of their attention on refining their own capabilities, not the constant need to manhandle an excessively large and powerful 250. 27 degrees / 4.1 in. 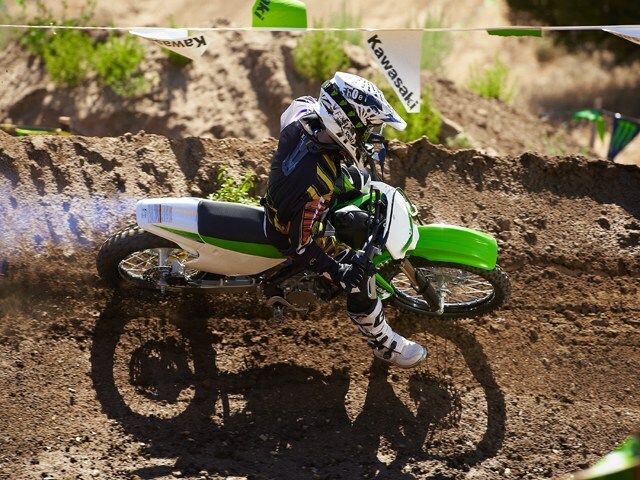 36mm inverted telescopic cartridge fork with 18-way compression damping / 10.8 in. Uni-Trak® single shock system with 4-way compression and 18-way rebound damping plus adjustable spring preload / 10.8 in.